They have evolved to survive without water for two to three days. 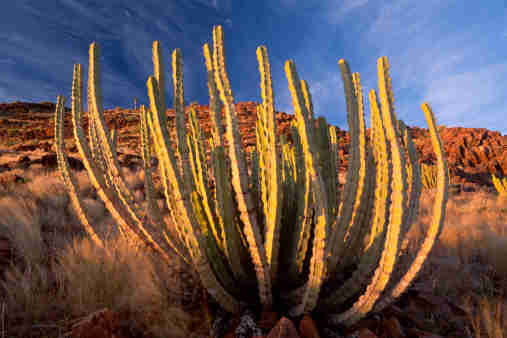 They have developed resistance to the toxic chemicals in plants native to the area. 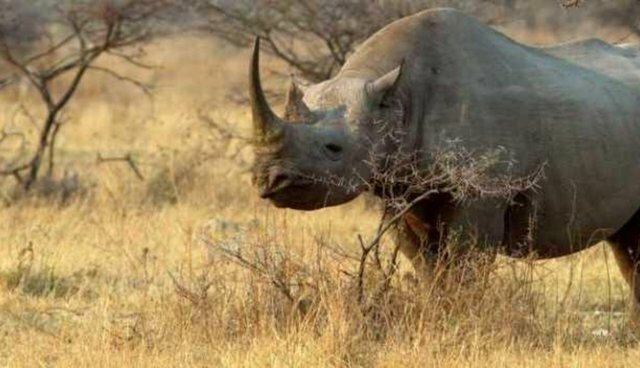 Their ranges are far greater than other black rhinos; spanning nearly 200 square kilomters (50,000 acres) which is twice as large as the rhinos in South Africa. 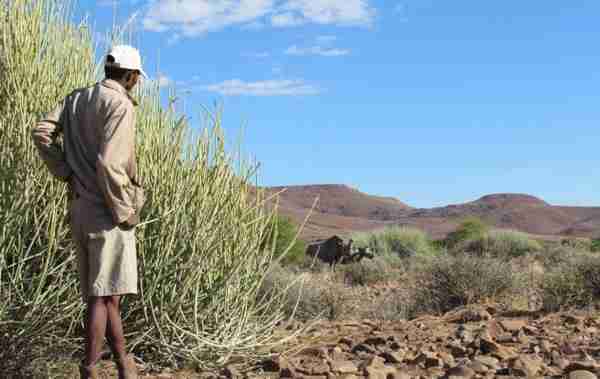 A few individuals have even been reported to have ranges of over 700 square kilometers (173,000 acres)! 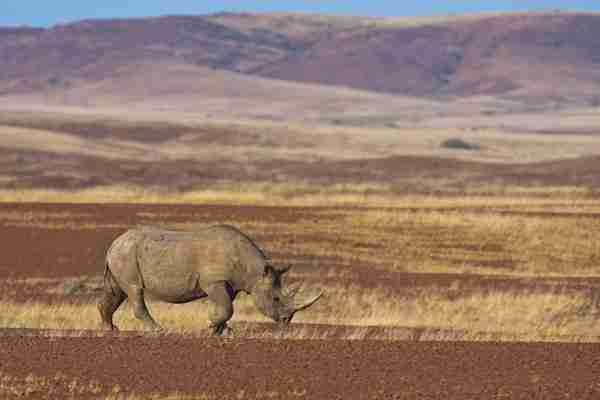 Namibian black rhinos make up about a third of the world's remaining rhino population.